Is reward and recognition the key to loyalty and motivation? Sam Walton, founder of Wal-Mart, once said: "Appreciate everything your associates do. Nothing else can quite substitute for a few well-chosen, well-timed, sincere words of praise. They're absolutely free and worth a fortune." Their research looked at nonfinancial recognition and assessed the impact it has on performance. They concluded that ‘recognition does have a positive impact in both manufacturing and service applications’. To most HR professionals, this is not rocket science. If someone feels appreciated, they tend to be more disposed to those that appreciate them – who knew! If you recognise and reward effort, people will feel their efforts are valued. Everyone wants to be recognised and appreciated and there’s no such thing as being over-appreciated. In business it works. Research has found that people who feel acknowledged by their bosses will go the extra mile for them when things aren't going so well, because they know that their efforts are being noticed. So we all know that recognition is a good thing, but why does it work so well? To answer this we need to look into the neurological and psychological processes that happen when someone feels appreciated and is rewarded. The neurological key to this is dopamine; the feel-good chemical that the brain releases as a reward. Being appreciated and rewarded is a similar neurological process to winning. When humans win a contest, there is a large release of testosterone and dopamine. The winner effect is well-researched. Over time, continual winning can change the structure of the brain, making you more likely to overcome increasingly harder challenges in the future. And on a psychological level, being recognised and rewarded makes us feel valued, relevant and liked. It also makes us feel positively connected to those showing gratitude and gives us a sense of meaning. At a time when morale has fallen in almost half the companies in the world (according to studies), something more than money and material inducements are needed. Reward and recognition go beyond those superficial pick-me-ups to deliver deeper inducements. In a global study by management consultancy McKinsey and Company, participants rated praise, leadership attention and autonomy as no less, or even more effective motivators than bonuses, increased pay and stocks or stock options. These non-financial motivators played critical roles in making employees feel that their companies valued them, took their wellbeing seriously, and provided opportunities for career growth. These themes recur constantly in studies on ways to motivate and engage employees. In another study by consultancy Towers Watson, the single highest driver of engagement was whether or not workers felt their managers were genuinely interested in their wellbeing. The message here is simple. 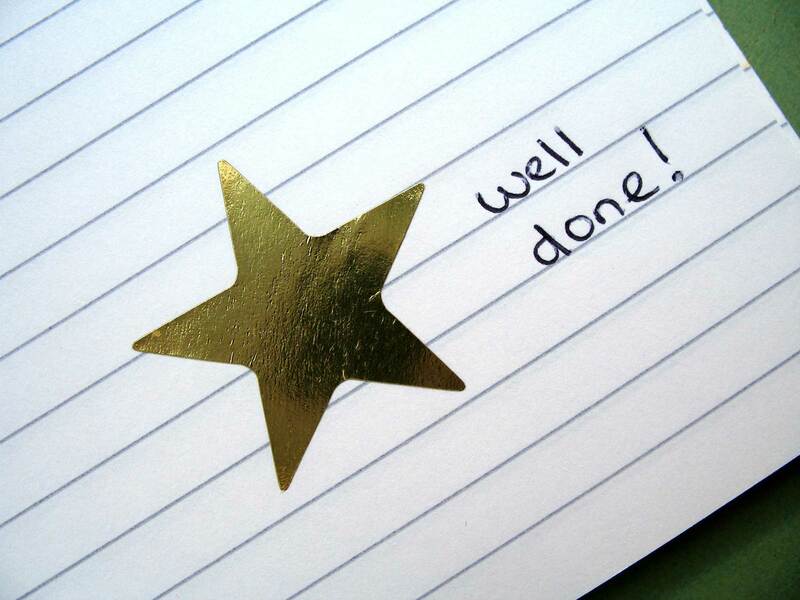 Praise your colleagues and staff, recognise their efforts and reap the rewards. And what better way to do this than to nominate them for some national awards? We know just the ones! The National Happiness Awards are now open for nominations. Categories include Happiest Employee, Happiest Team and Happiest Future Leader. It is easy to nominate online, nominations raise money for our partner charity Combat Stress and every nomination is acknowledged, which shows your nominee that you recognise their efforts and value them. Even the process of showing your gratitude is beneficial, as a study conducted by researchers Emmons and McCullough in 2003 showed. They asked two groups of young people to keep a daily diary. One group recorded things they were grateful for, the other listed things that annoyed them, or reasons why they were better off than others. Those who kept gratitude diaries showed increases in determination, attention, enthusiasm and energy compared to the moaners. The study showed that gratitude requires an appreciation of the positive aspects of your situation rather than a comparison. Even a weekly gratitude diary was shown to have an effect and raise levels of optimism. What’s more surprising is that the study showed that people who actively went out their way to be grateful exercised more and were healthier. So what better reason could you need? Give someone you know a dopamine boost and get healthy when you do.